Some time ago, a long time ago. I posted about some beautiful fabric my cousin sent me from Scotland. At first I was terrified of doing anything with it. I would bring it out of the cupboard and pet it once in a while, or browse through the patterns I own and then gaze lovingly once again at the fabric. But for the longest time I couldn't get past that. I made a coat. I've never made a coat before. I am so delighted with how it turned out that I felted a grey beret to go with it. 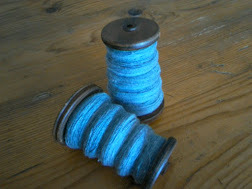 The beret didn't turn out quite the right colour so I will do another one in a contrast colour. But you know it takes a very long time to do a beret, especially, if like me, you are starting from the wool direct from the sheep. And it's the first hat I've made! 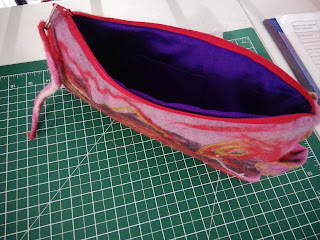 Then I turned to the rest of the fabric. 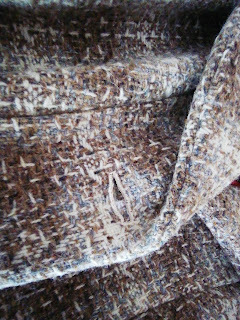 it's a beautiful tweed and a coordinating brown wool. It would be perfect for a jacket and skirt. but the more I thought about it, the more I felt that I wasn't quite ready for a Tweedy suit. So I pushed the boat out once again choosing something a little more out of my comfort zone. I can't tell you how nervous I was cutting this. I must say I am more than pleased with the outcome and now I am working on a skirt to go with it. I have chosen a fairly plain paneled skirt but to jaz it up a bit I want a zip on the outside of the skirt from the hem up to the lower thigh (I'm not being too racy here). I'm borrowing the idea from a photo I saw in Vogue last autumn. I decided to make a toile first to ensure a perfect fit. I am quite used to being a larger size on my hips than my waist but I was none too pleased to discover that I am now a perfect size 16 in both the waist and hip. Blimey! that's a size up for me and it has prompted a bit of a cut back on the cakes and buns! Marilyn Monroe was a perfect 16 but I am not her shape and I don't have her face so knowing that isn't much of a consolation. 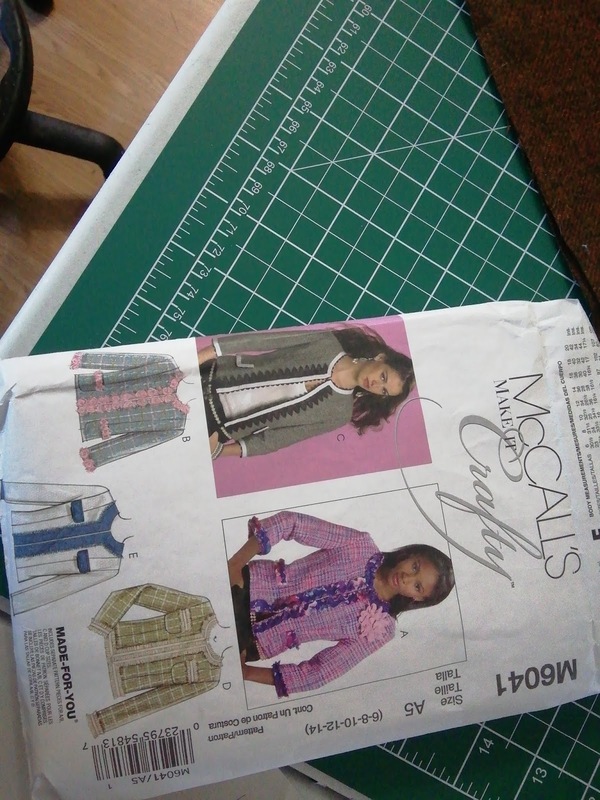 I have a future project in mind that these latest sewing accomplishments will help with. I want to make a Chanel style jacket. There are plenty patterns around for the boxy boucle masterpiece but none of them suggest using any of the couture finishes that a real Chanel jacket would contain. I want to do it the Chanel way. For this there is a lot of hand sewing and a lot of new hand sewing techniques to learn. 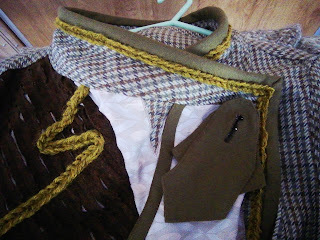 so I started with the hand sewn buttonhole on my coat. 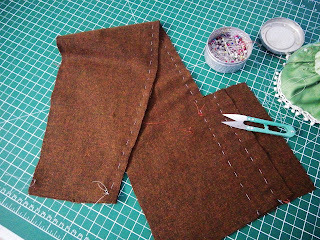 According to the online tailor I found on YouTube it takes about 100 buttonholes before you would be considered good enough to work on a couture garment. 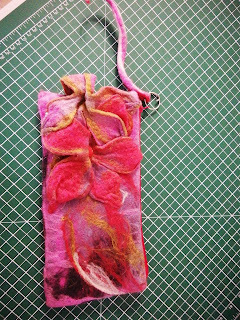 I was fast running out of thread when I got to buttonhole number 4, and this is silk buttonhole twist at no little expense I can tell you, so buttonhole number 5 was on the coat. It's not perfect, but it won't stop the bus. Button hole number 6 was a practice piece for the jacket and number 7 actually on the jacket itself. I'm definitely getting better.. but my Chanel look-a-like has to be better than this... It's also not going to be a cheap jacket. The traditional fabric is a tweed or wool boucle. I won't be able to buy the actual Chanel fabric but the company that makes for Chanel sell a range to the general public that is pretty similar, it retails at around 40 euros a metre. I think I need 2.5 metres and then another half metre for making the trim. Add to this the silk lining, the chain weight for the hem and the button hole twist for at least 6 buttonholes. well, it's not going to happen any time soon... but that's why I'm practicing the techniques... by the time I'm proficient, I should just about be able to afford the fabric. This clutch bag is a less than perfect practice piece but it would certainly be usable for an occasion or two. It might not be robust enough for constant use. It also does not have a handle, perhaps some intrepid creative person would like to fix that. Not sure how a chain handle would attach but it would, in my opinion, be the best option. It took several hours to make, and is fully lined. It has many flaws.... but I'm sure someone would enjoy it. So if you want it. Leave a message and the first person to comment gets it. Free. Now, today we went shopping, and as I marched purposefully up the high street of our nearest town (I was on a mission to find a zip) I was nearly stopped in my tracks by the latest creations in the shop windows. Please excuse the glare and reflections on the photos. And this is why I make my own clothes. Although to give them their due, they aren't the product of mass production and no one else will turn up at the same event wearing your dress!